The summit between Donald Trump and Kim Jong-un is an historic event that could only happen once in several decades. It is the culmination of a 27-year-old diplomatic effort to resolve North Korea’s nuclear problem. But what are its prospects for success? How do we even define “success” (or failure)? What are the two most likely scenarios for a happy outcome? And what recommendations can we make, to help translate the most-desired scenarios into reality? These are all very knotty questions. To even begin to answer them, we first must look to the past. The first diplomatic encounter between the United States and North Korea was a meeting between Arnold Kanter, US Under Secretary of State for Political Affairs, and Kim Young-soon, Secretary of the Workers’ Party, held in 1992 in New York City. This was the first high-level meeting between the two sides since the end of the Korean War, and an event that awakened the North Korean leadership to the value of the nuclear card in dealing with the United States. After all, it was the nuclear program that brought Washington to the table, dropping its long-held opposition to direct contact with North Korea. Since then, Washington has signed several agreements with Pyongyang to resolve the nuclear issue, but these initiatives have failed to succeed, mainly, I would argue, because of North Korea’s deceptive violations. A pattern has been set in which an agreement is made to address increasingly advanced nuclear developments by having the United States provide greater economic and security incentives—only to see these diplomatic efforts fail to thwart North Korea’s nuclear ambitions. The Trump-Kim summit will be the apex of this type of diplomatic effort: a success or failure which will determine the future of the security environment on the Korean peninsula, with an enduring impact on the regional security order in Asia. There are two possible scenarios by which the Trump-Kim summit can be recognized as a success. Since the summit is at the highest rung of the diplomatic ladder, there is hope that a successful agreement will be reached to dismantle nuclear weapons in a way that confirms that there has been complete, verifiable, and irreversible disarmament, or what the US State Department refers to with the acronym CVID. To dodge criticism that the United States made a huge concession to North Korea, the White House’s pre-emptive response is that only a summit can produce such an outcome, since Kim is the sole person who can make a decision in North Korea. If CVID is not accomplished at the summit, it still can be accepted as a success if Kim Jong-un’s true intention is revealed to the world. If Trump has a one-on-one meeting with Kim and obtains a crystal-clear understanding that he will not give up nuclear weapons, the summit will remove any lingering confusion surrounding Kim’s nuclear intentions, and that would enable South Korea and the United States to change their course from diplomacy to deterrence and defense against North Korea’s present nuclear threats. So, what are these two possible scenarios for success? The first possible success scenario. The first success scenario is that Kim Jong-un, standing side by side with Donald Trump, declares in public that he will dismantle all nuclear weapons and infrastructure and will return to the Nuclear Non-Proliferation Treaty (NPT) as a non-nuclear weapon state. A joint statement that stipulates Kim’s commitments and corresponding economic, political, and security incentives from the United Sates would be signed. Under the banner of “Denuclearization of the Korean Peninsula,” North Korea has exercised a grand strategy to fundamentally change the security structure in the region. The purpose is to realize its long-term goal of unifying Korea under North Korea’s terms, as well as the immediate objective of maintaining the Kim family regime. North Korea’s grand strategy pivots on deceiving and blaming South Korea and the United States with several goals in mind: create a smokescreen to mislead Seoul and Washington into believing that Pyongyang might abandon its nuclear weapons; justify nuclear development by blaming the South Korea-US alliance and hostile US policy for causing existential threats; and accomplish the long-held strategic goals envisioned in the 1991 proposal to establish a nuclear-weapon-free zone (NWFZ) on the Korean Peninsula. The NWFZ idea was first proposed in the 4th Inter-Korean High-Level Talks in October 1991, and its ambitions were seven-fold: to forbid testing, manufacturing, introducing, possessing, and using nuclear weapons; to prohibit transit, landing, and visiting of nuclear capable aircraft and ships; to prevent an agreement guaranteeing a nuclear umbrella and not to allow deployment and storage of nuclear weapons; to ban military exercises involving nuclear weapons; to withdraw US forces and nuclear weapons from South Korea; to simultaneously inspect North Korea’s nuclear facilities by the IAEA and South Korea’s military bases by North Korea; to demand nuclear weapon states not threaten the two Koreas; and to respect the NWFZ status of the peninsula. (3) to nullify the Armistice Agreement and break up the South Korea-US alliance. This can be seen in the statement issued by North Korea’s government spokesperson on July 6, 2016. 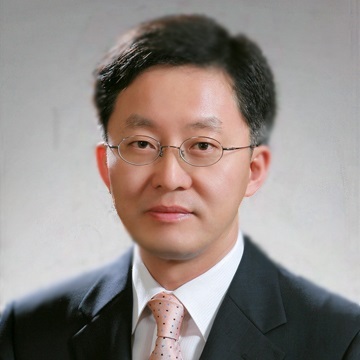 The statement demanded denuclearization of the entire Korean peninsula, not just of North Korea, and called for the United States to reveal all US nuclear weapons brought into South Korea that had previously never been either confirmed or denied; to dismantle all nuclear weapons and related military bases and put them under international verification; to guarantee not to bring nuclear-capable means into South Korea and its surroundings (which are frequently being deployed at the moment); to assure not to threaten North Korea with nuclear weapons or war activities employing nuclear weapons under any circumstances, and also confirm not to use nuclear weapons against North Korea; and to declare the withdrawal of US forces that control the right to use nuclear weapons in South Korea. There is hardly any difference between the 1991 NWFZ proposal and this statement. By aggressively exploiting the word “denuclearization,” North Korea has deceived South Korea and the United States, collected handsome rewards, and succeeded in acquiring nuclear weapons. Today, North Korea uses different camouflage, such as “abolishing America’s hostile policy,” “removing security threats,” or “guaranteeing regime survival” to achieve the strategic objectives of the NWFZ. What Kim Jong-un reportedly said at the meeting with China’s president, Xi Jinping in March is another manifestation of North Korea’s long-held ambition of fulfilling the strategic objectives of the NWFZ: “The issue of denuclearization of the Korean Peninsula can be resolved, if South Korea and the United States respond to our efforts with goodwill, create an atmosphere of peace and stability while taking progressive and synchronous measures for the realization of peace.” Notably, since being sworn in as leader in 2012, Kim Jong-un has never mentioned giving up the nuclear option, eliminating nuclear weapons, or returning to the NPT. The second possible success scenario. The second success scenario is that Donald Trump comes to a crystal-clear understanding that Kim Jong-un has no intention to give up all of his nuclear weapons and is committed to be a leader of a nuclear weapon state. This cool-headed realization will lead to the sober conclusion that it is impossible to reach a sweeping deal with North Korea that can achieve a complete, verifiable, and irreversible disarmament. Other factors may also come into play to create barriers to accomplishing the goal of CVID, such a potential great power competition emerging in Asia in which North Korea’s nuclear abilities lead to a proxy contest. Consequently, a sober realization that a CVID in North Korea will be a will-o’-the-wisp for the foreseeable future could be considered another successful outcome of the Trump-Kim summit—if nothing else, at least the world would have clarity. Under this scenario, South Korea and the United States would forge a long-term strategy to manage a nuclear-armed North Korea, similar to the containment strategy regarding the Soviet Union during the Cold War. In the meantime, Seoul and Washington need to strengthen their deterrence posture to counter the present nuclear threat from North Korea. The Korean peninsula has entered a nuclear age, as Western Europe did 70 years ago. The South Korea-US alliance would break away from years of fruitless diplomacy and take firm steps to bolster nuclear and conventional deterrence. A critical component would be to redeploy American tactical nuclear weapons in South Korea and establish a nuclear sharing mechanism. At the same time, South Korea and the United States would launch an aggressive, prolonged, overt/covert, and systematic campaign to foster fundamental changes in North Korean society. For as long as North Korea retains nuclear weapons, crippling sanctions must remain in place to make the regime realize that its “Byungjin Policy” (of acquiring nuclear weapons and economic prosperity simultaneously) cannot succeed. A window of opportunity for a nuclear-free North Korea will open when the current Kim family regime is replaced with a new, reform-minded leadership. Only if North Korean society is fundamentally transformed and allows its people to freely express their views to the leadership in the form of organized dissent, (at least to the level of Iran) will it be feasible to achieve complete, verifiable, and irreversible disarmament in North Korea. Recommendations to translate these scenarios into reality. There are certain conditions to be met if either of the two success scenarios is to materialize. Donald Trump should not repeat the same mistakes that led to the policy failures of his predecessors. He is advised to pay careful attention to the following recommendations. Suppress a personal desire to leave a political legacy or score cheap political points. He should be neither overly ambitious to completely resolve North Korea’s nuclear crisis in his presidency nor overly confident that only he can cut the Gordian Knot that tormented his predecessors. Do not underestimate North Korea; remember that Pyongyang is a tough negotiator. The history of North Korea’s nuclear crisis shows a consistent pattern in which Pyongyang pushes Washington to meet its demands and Washington makes concessions to Pyongyang. Do not rely too much upon economic tools (either incentives or sanctions). Economic tools alone cannot make North Korea change its course. The Kim family regime is determined to keep nuclear weapons, through the sacrifice of ordinary people. This is the regime that survived the tragic famine period in the 1990s. Do not open a bottle of champagne too early. To North Koreans, signing a document is one thing, and implementation is quite another. Any hasty attempt to reach a deal will result in a half-baked, deceptive agreement. In particular, put maximum emphasis on verification, because North Korea is an infamous violator of agreements. Agree only what can be verified and verify whatever is agreed. * 본 글은 06월 11일자 Bulletin of the Atomic Scientists에 기고한 글이며, 아산정책연구원의 공식적인 의견이 아닙니다.